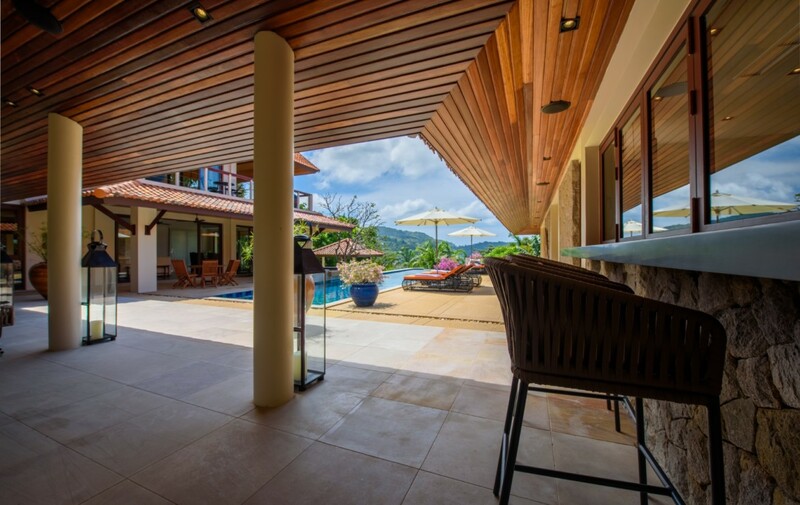 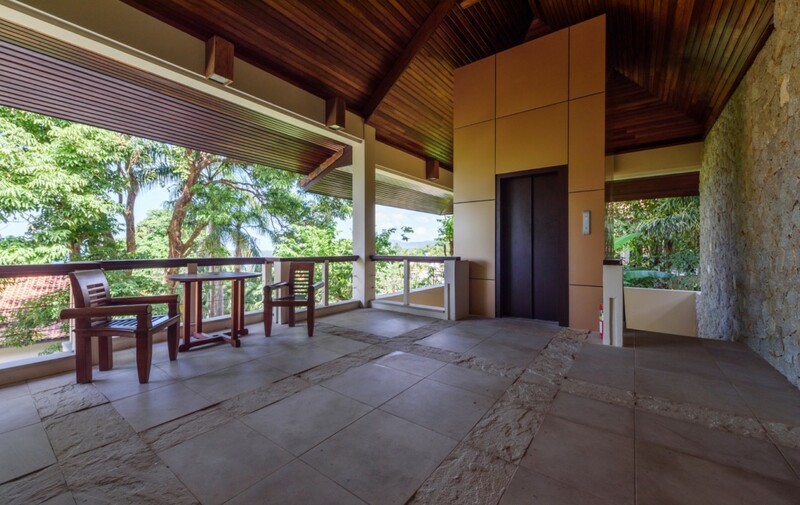 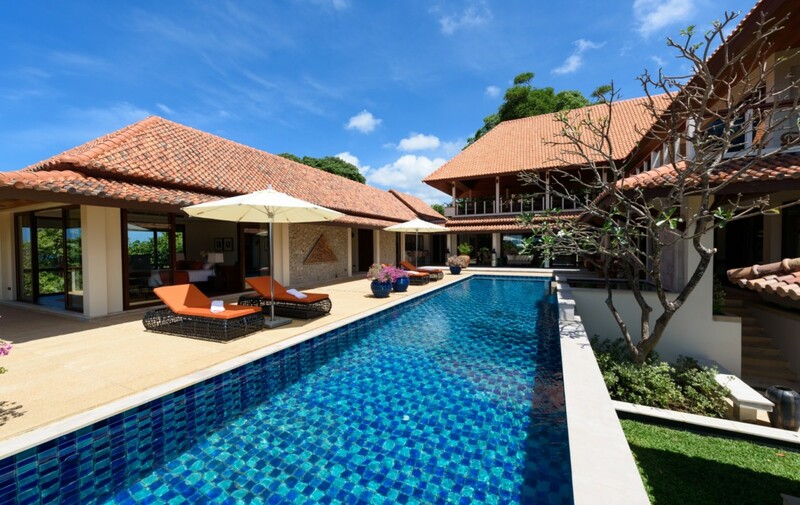 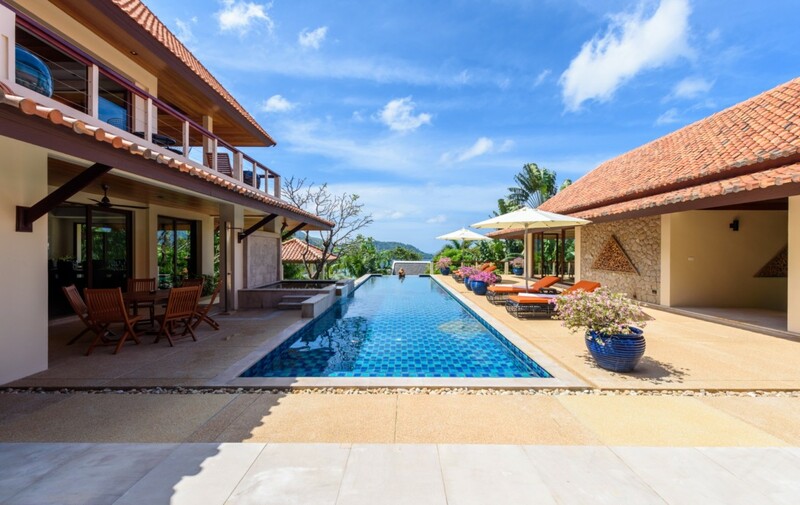 This fully renovated villa is favorably located in the highly exclusive Estates in Kata. 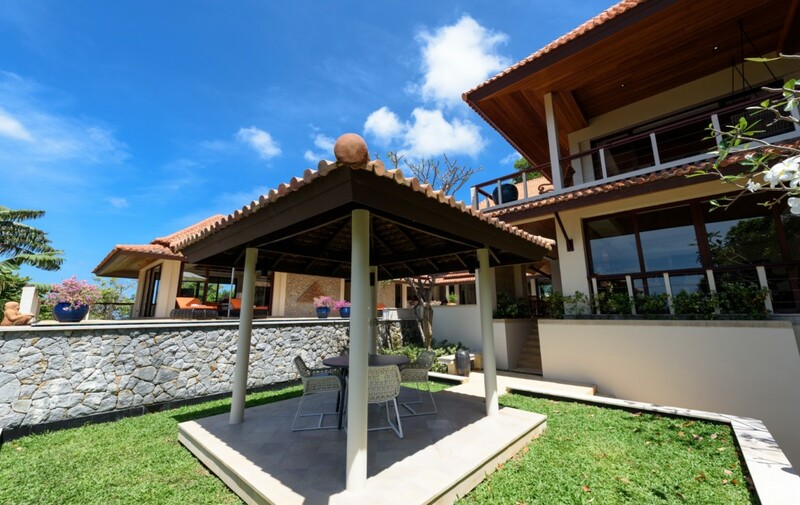 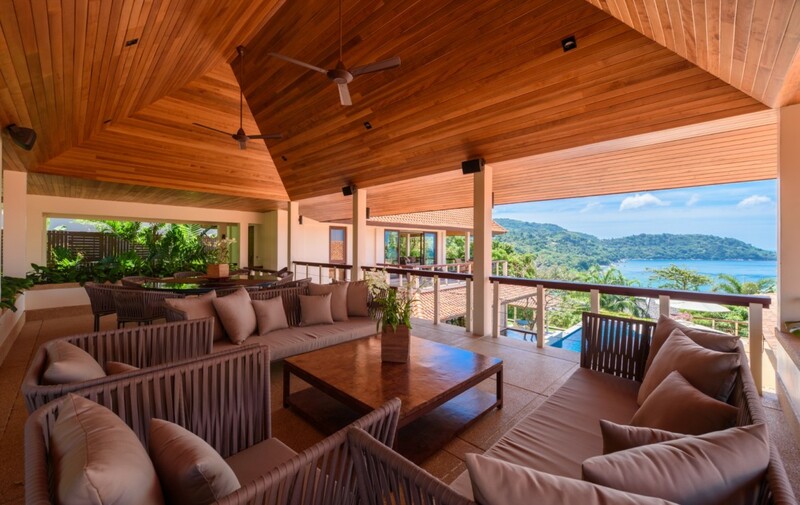 This villa enjoys full clubhouse access, and an already established efficient maintenance and security systems. 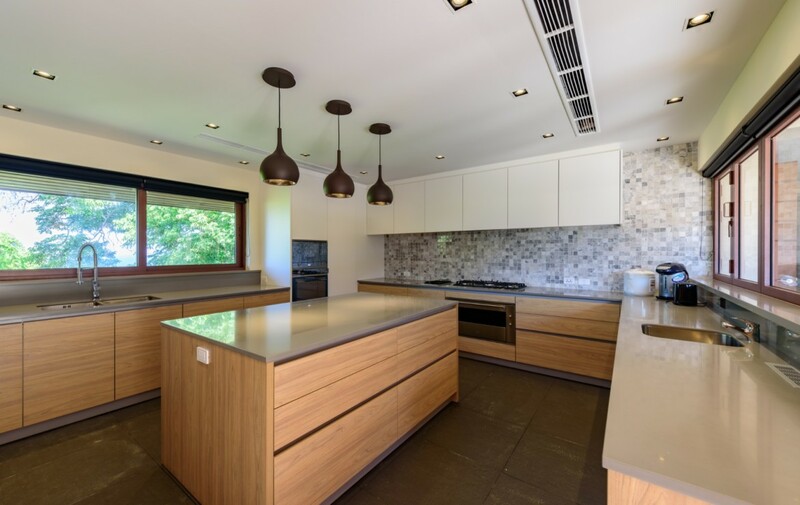 This home was not only built to meet complete Western building standards, but more importantly exceed them. 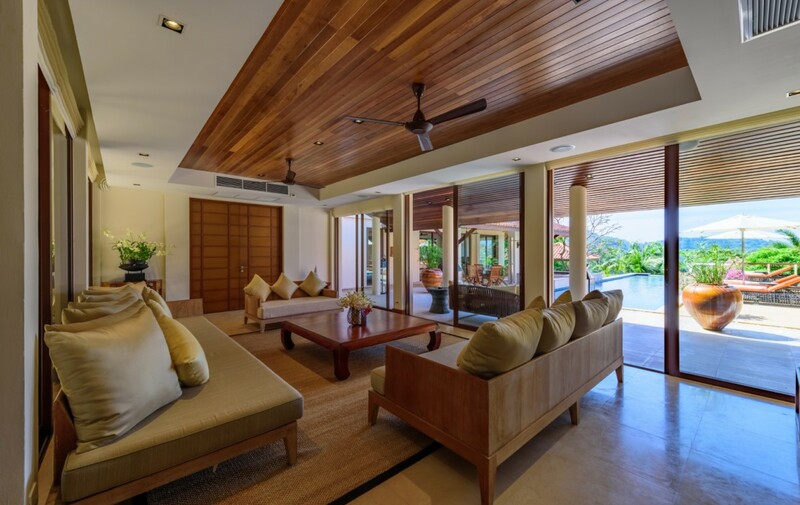 With the villa’s well-thought out and logically integrated living space and subtle blend of Southeast Asian architectural design fused with influences of comfortable Western modern living, even the most discerning of home owners will undoubtedly be pleased. 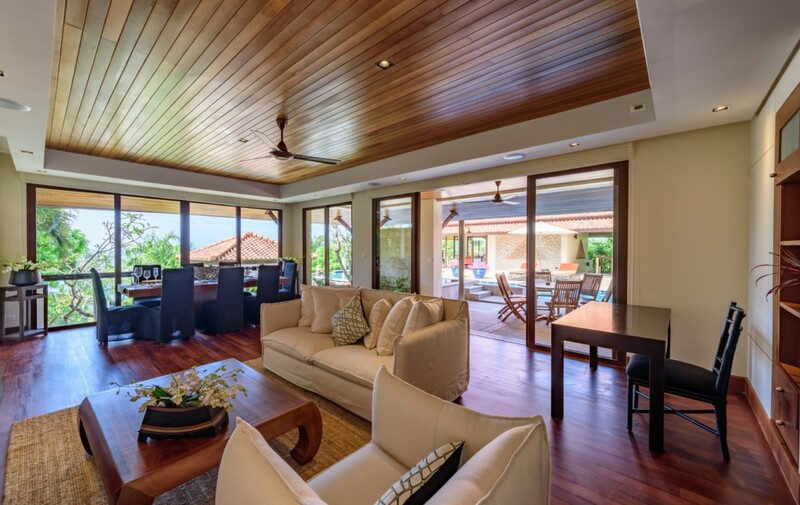 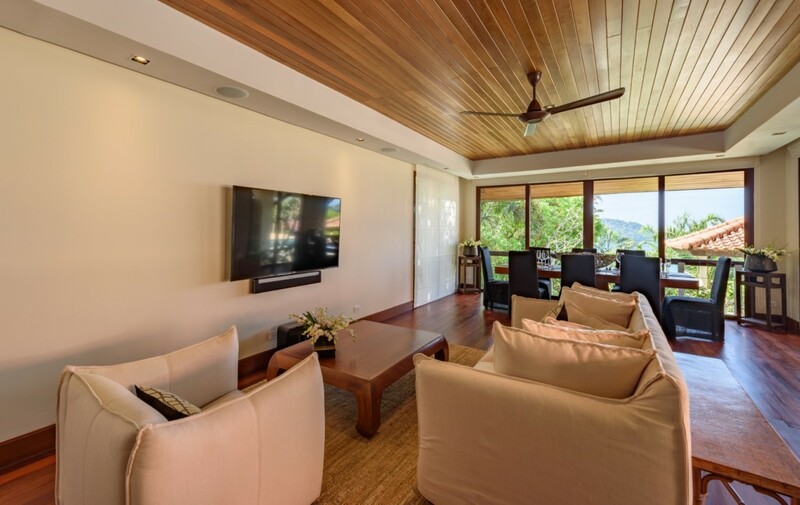 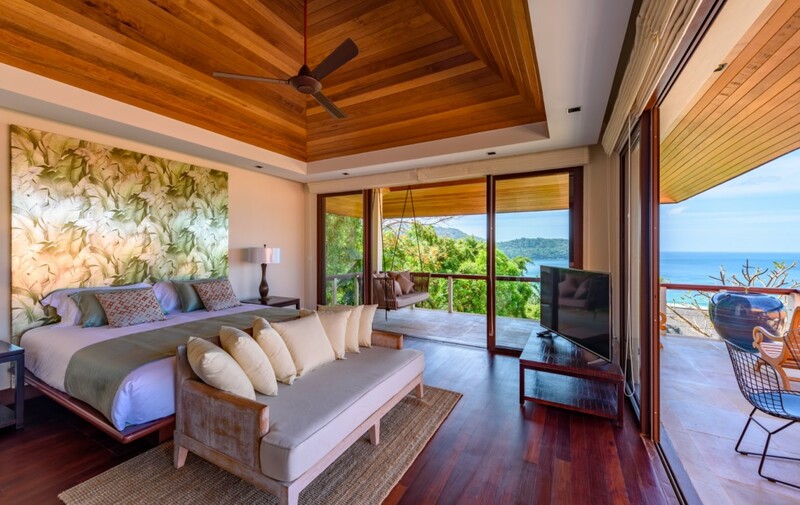 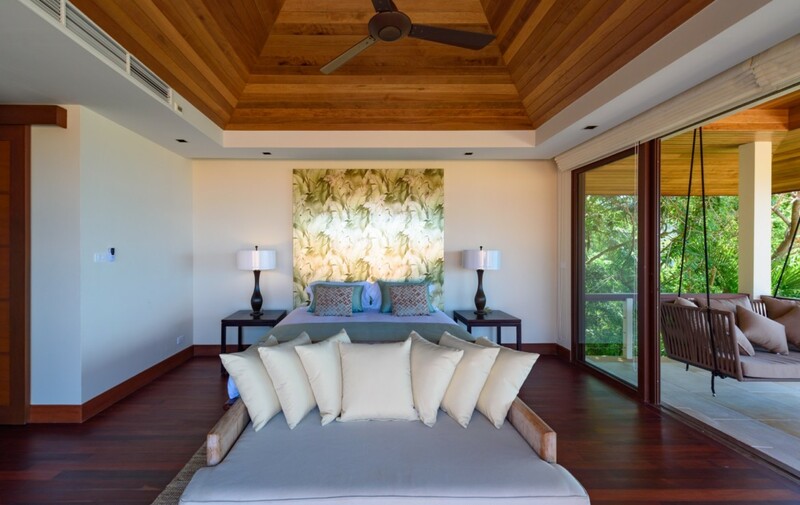 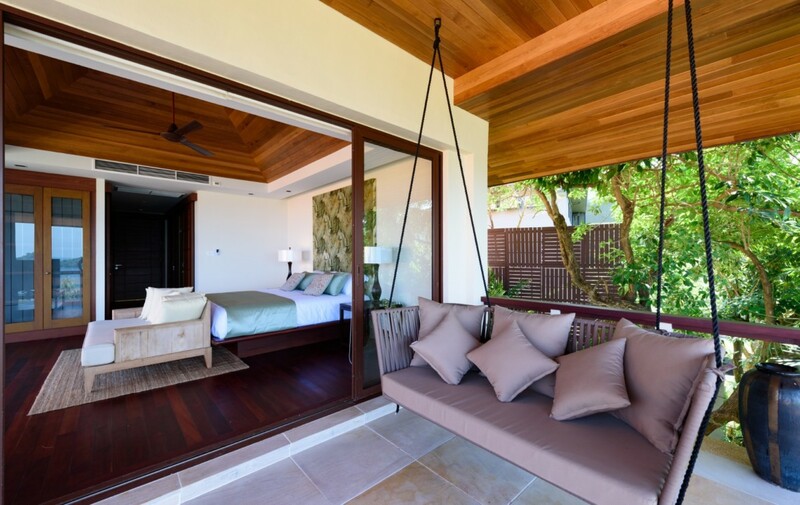 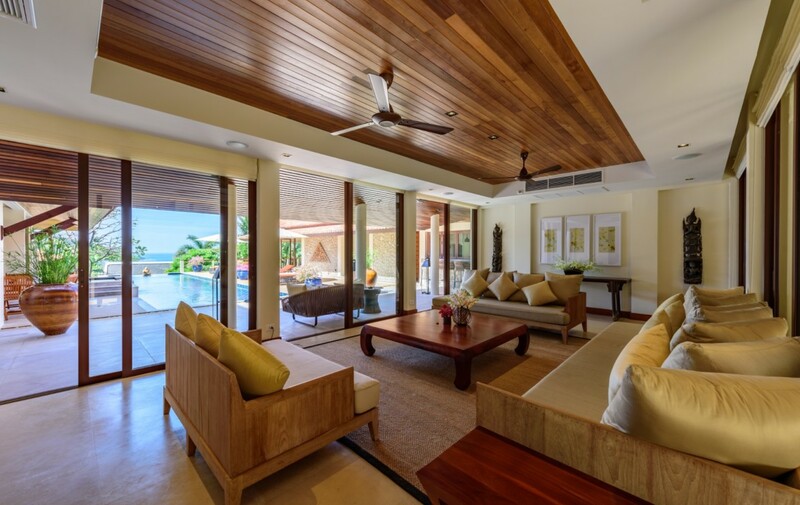 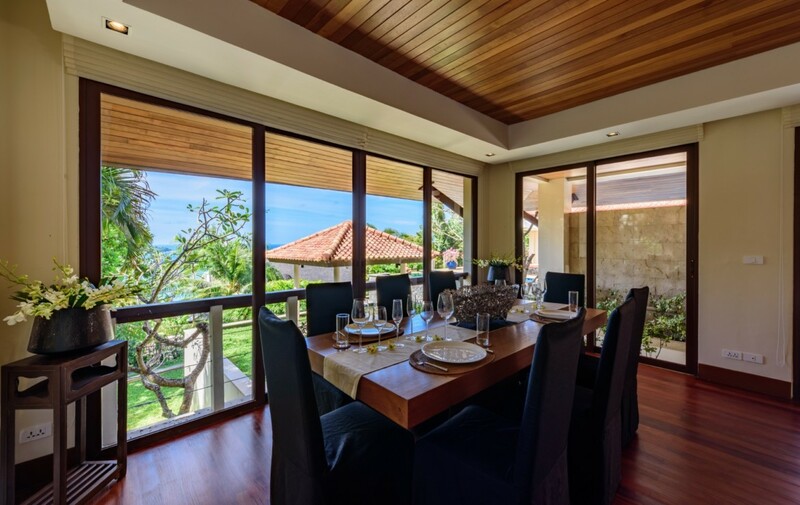 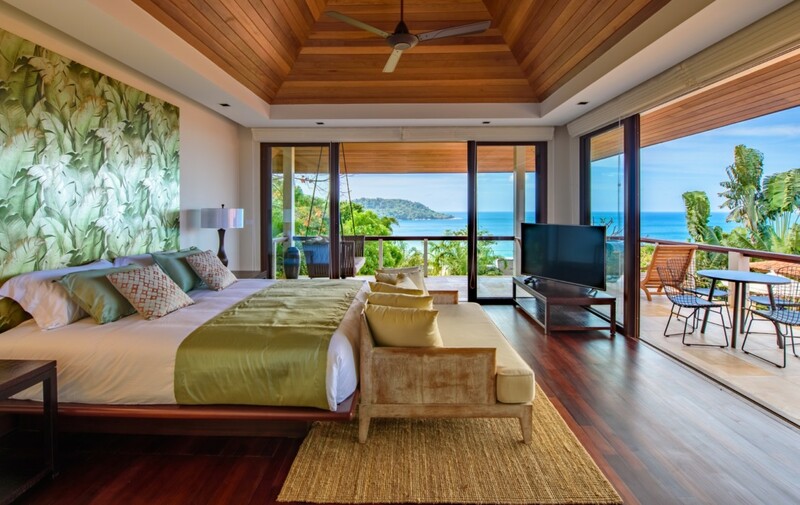 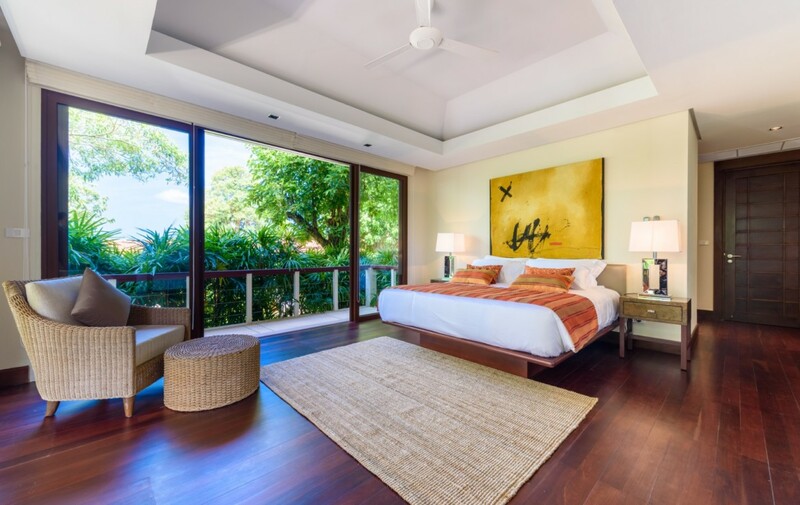 The fully furnished villa comes with extensive, high quality and tasteful soft and hard furnishings in all rooms. 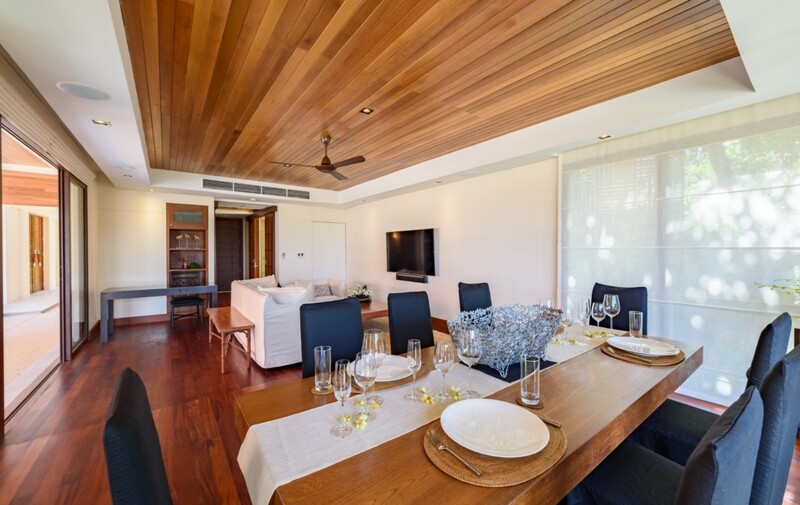 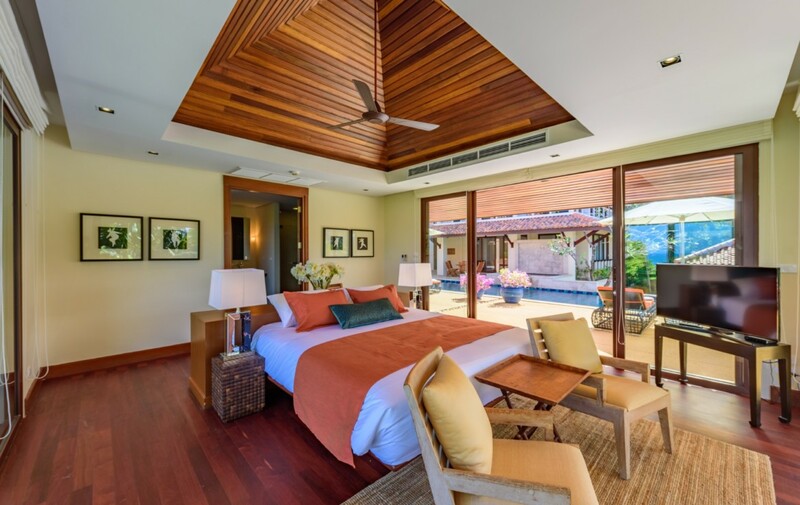 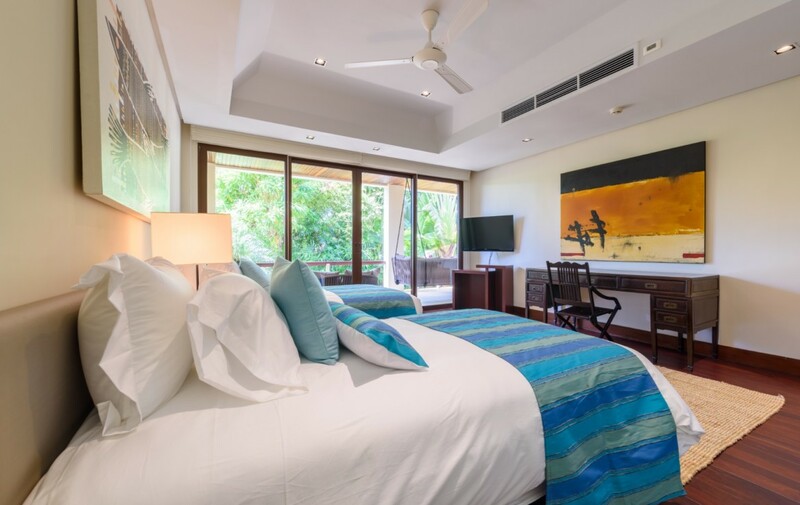 Ideal for a big family or for sole occupancy, the villa’s 5 large suites to further ensure extremely comfortable living for guests and residents. 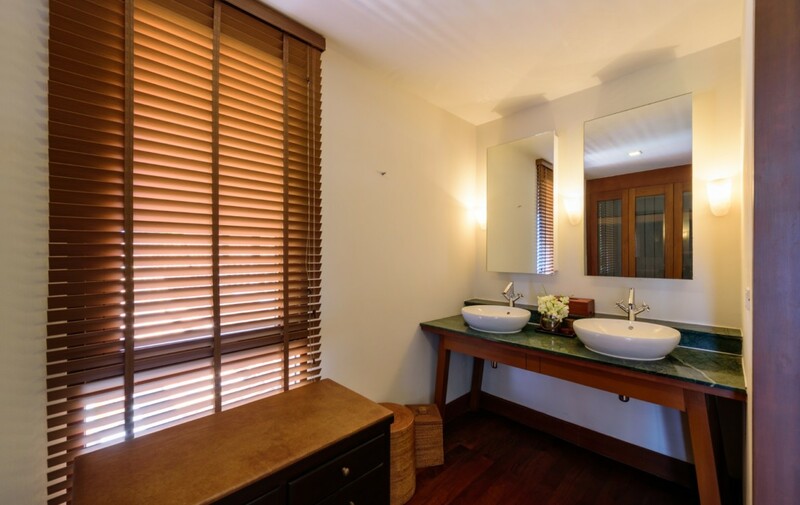 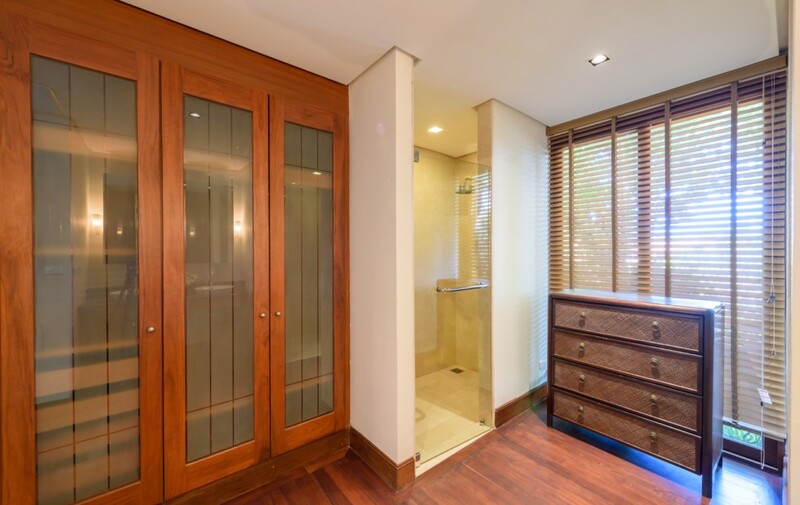 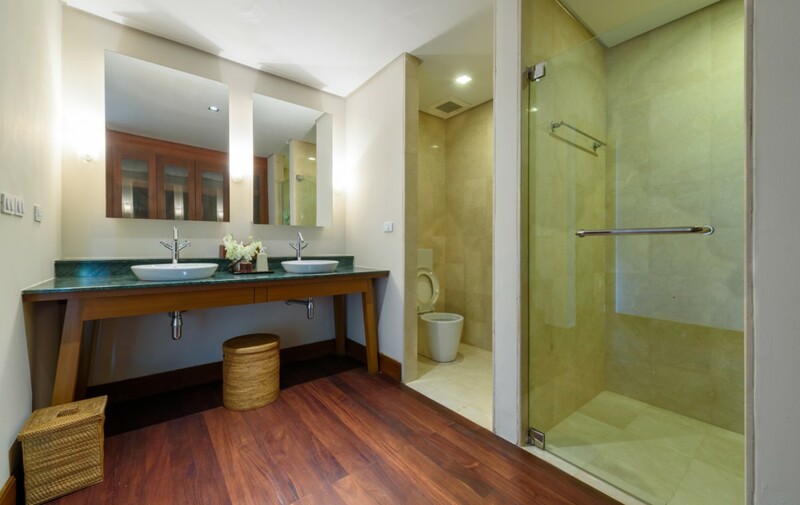 The lower level consists of 2 guest bedrooms with ensuite bathrooms, laundry and storage room, maid’s quarters and parking area which has a convenient elevator to take you up to the higher floors. 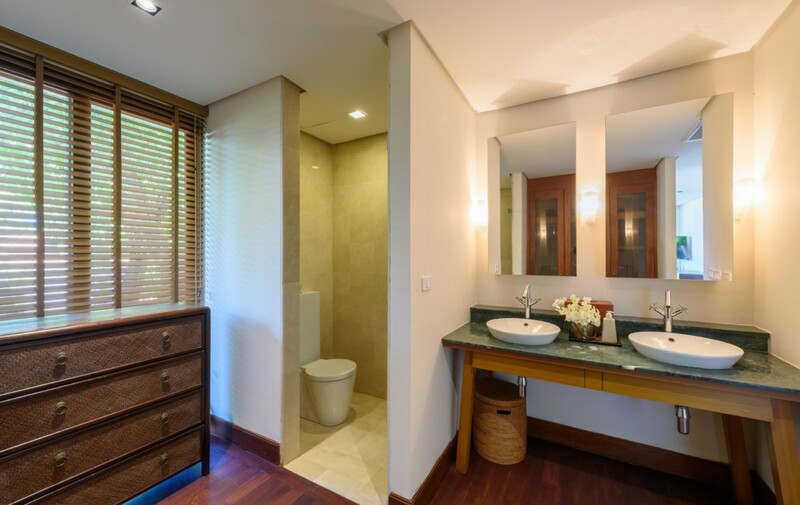 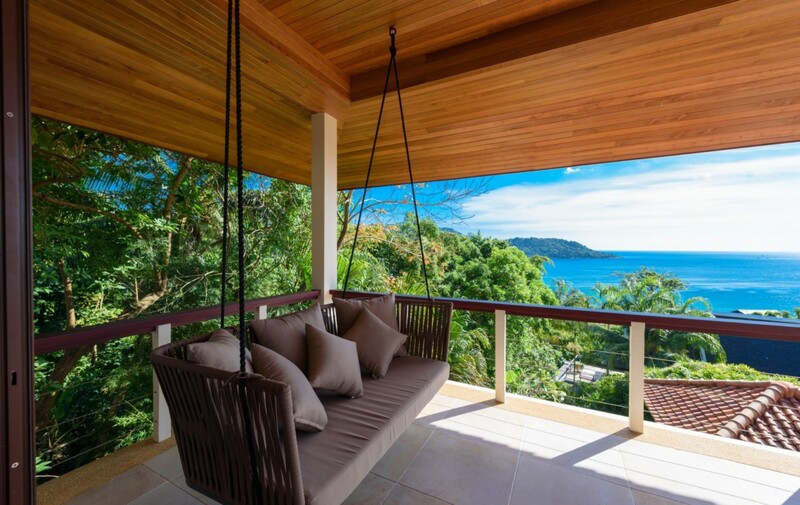 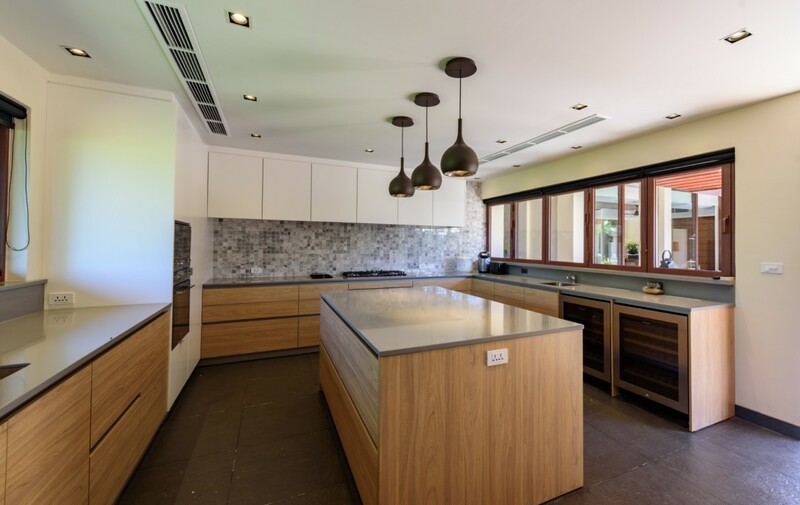 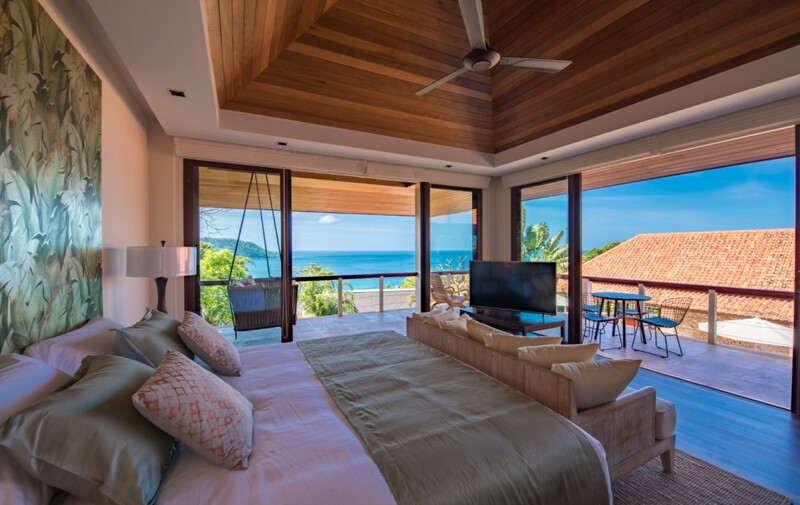 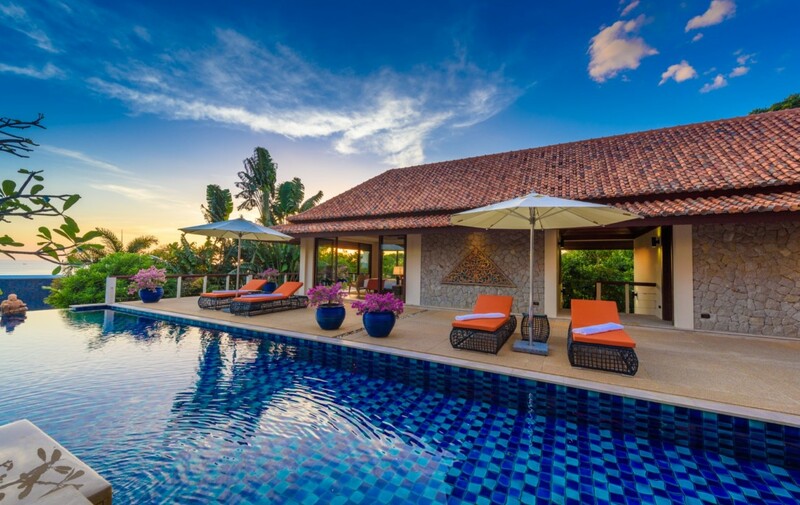 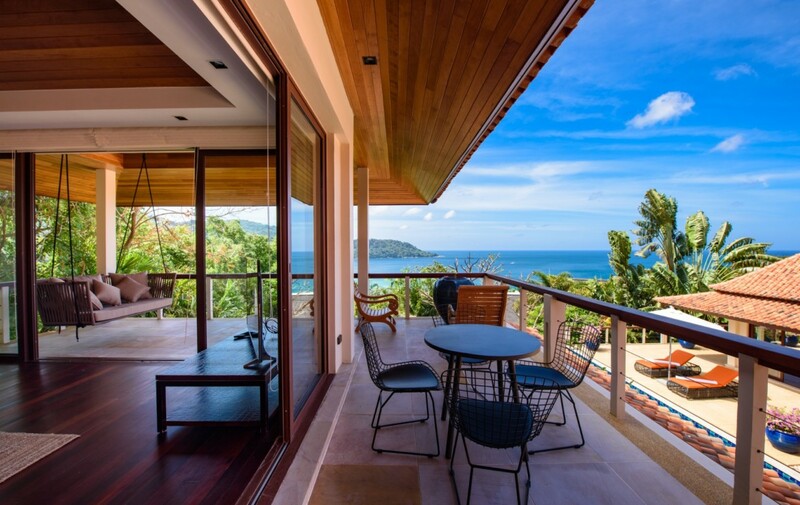 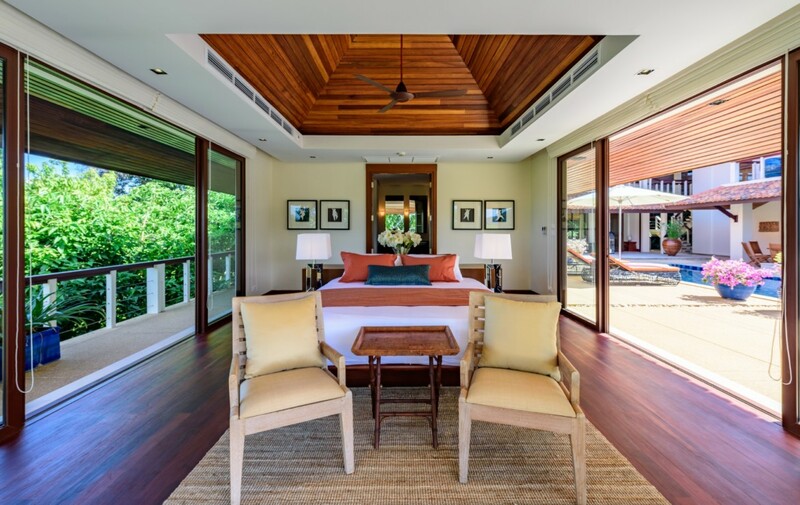 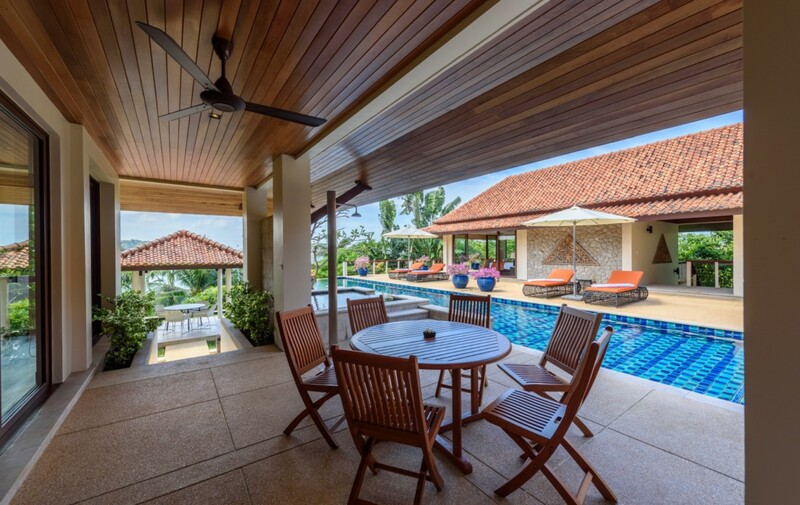 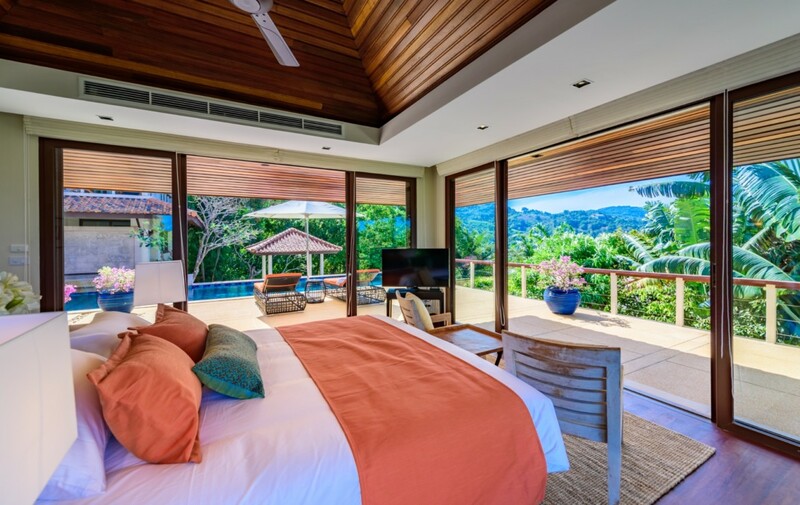 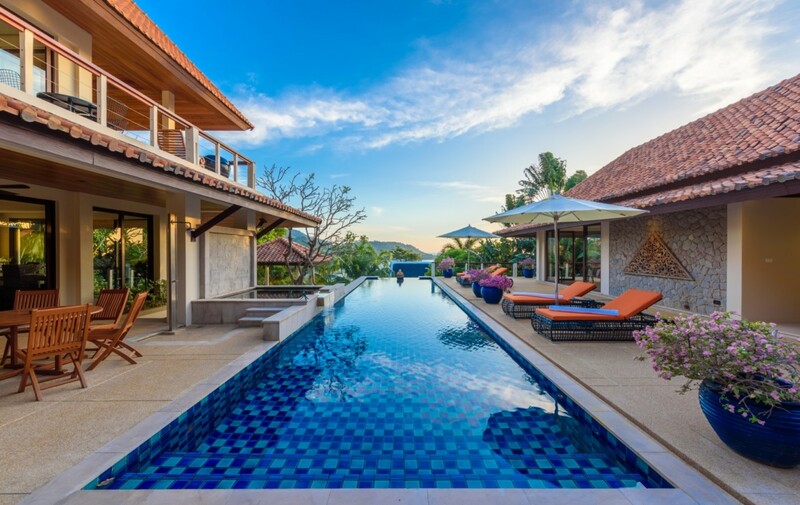 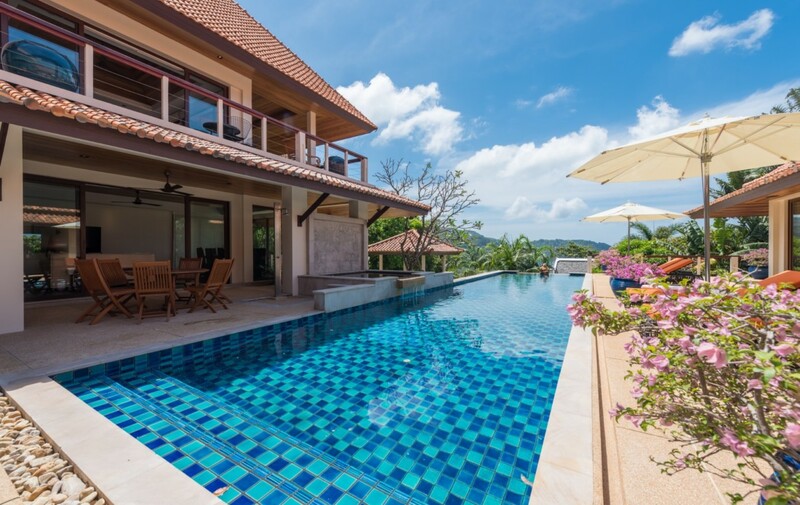 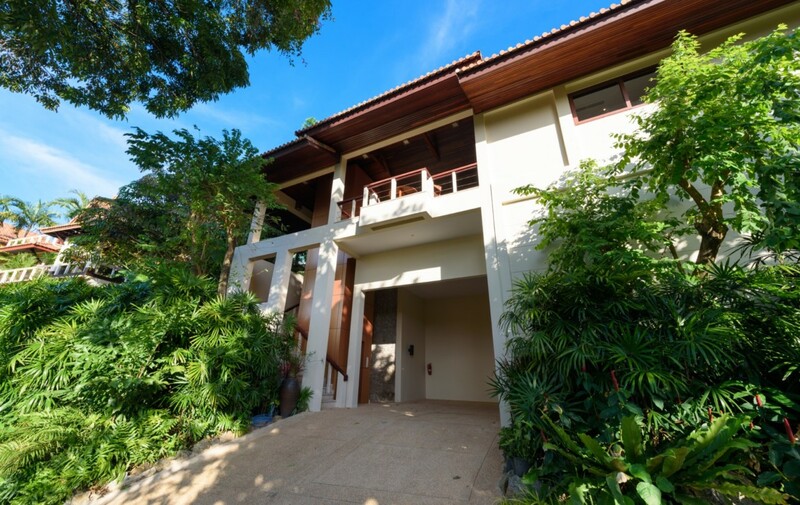 The villa is comfortably situated inside the exclusive Villa Estate on the southwest coast of Phuket amidst the lush tropical foothills of Kata Noi and approximately only 40 km. 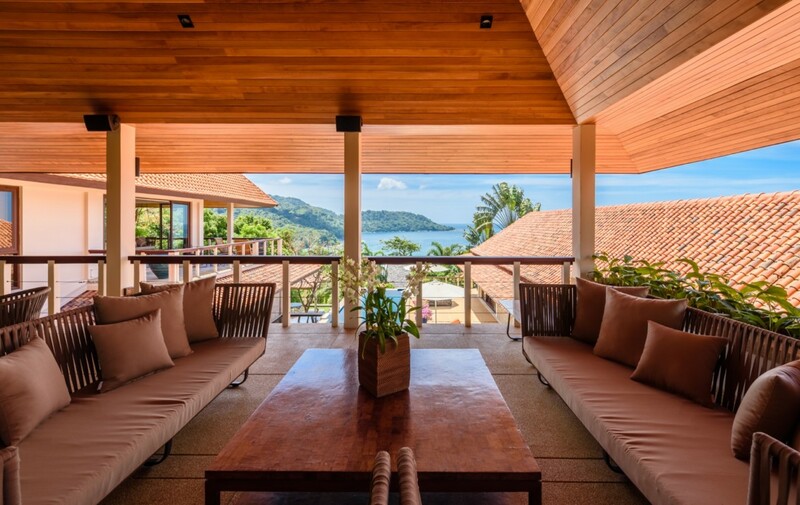 from the Phuket International Airport. 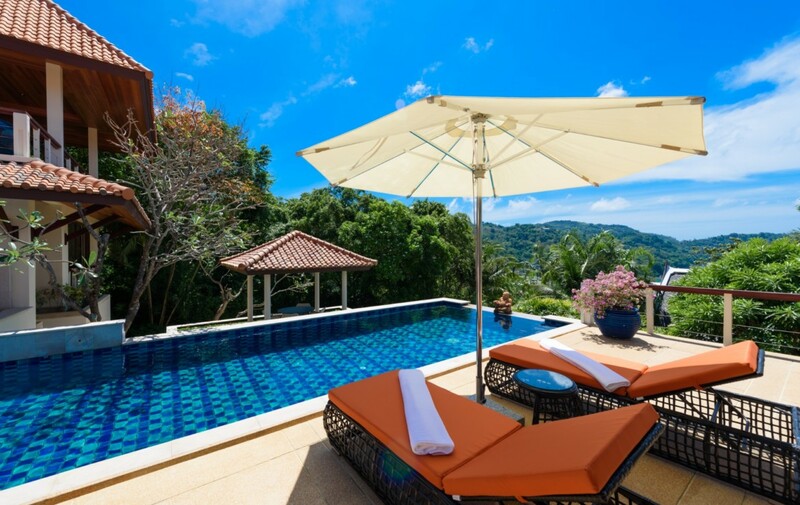 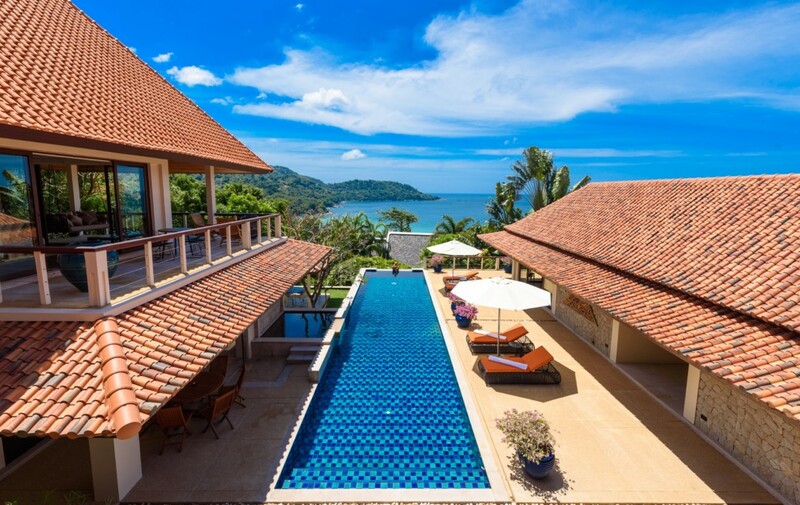 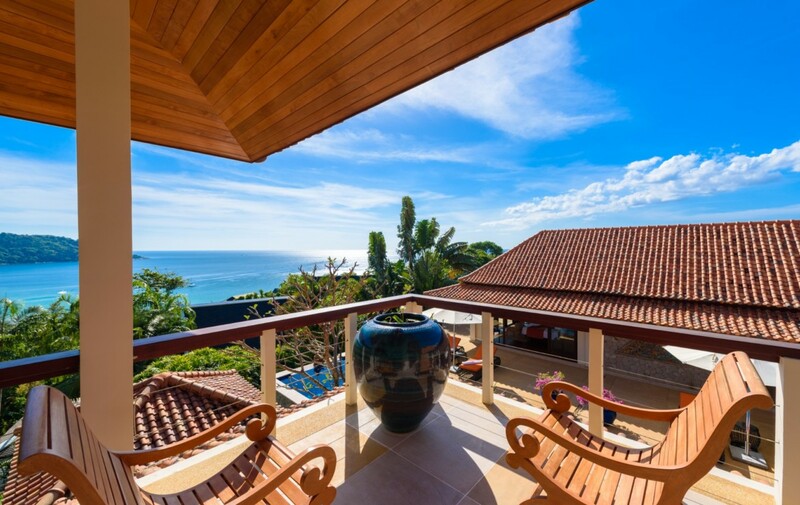 It is on an elevated peninsula with spectacular views off sandy bay of Kata Noi and Kata Yai. 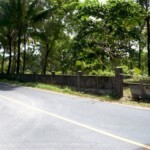 It is further enhanced by having 2 road entrances, the lower entrance leads to a paved pathway which leads directly to Kata Noi Beach.